So I’m normally hesitant to read books where death is the main plot point. I’ve read my fair share of books with characters that have terminal illnesses or are thrust into life-threatening circumstances and I’ve discovered that I’m really picky with how the subject of death is handled. 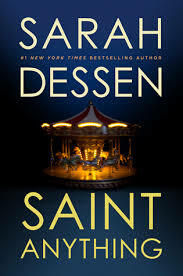 I was very impressed with how Gayle Forman took the idea of death and the decision to either stay in the world of the living or move on to the afterlife and made it something that could be beautiful and connectable. She allows the reader to see the depths of the characters life, the pieces that might not be as pretty, the best times and the worst. It allows the reader to see life as it is. For me this book definitely had it’s moments when it drew me in. I will say there were a couple of sections that I had to power through which was a bit of a turn off for a book that wasn’t terribly long. But overall this book was well-written and provided an interesting perspective on a topic that is definitely not an everyday “table talk” kind of subject.